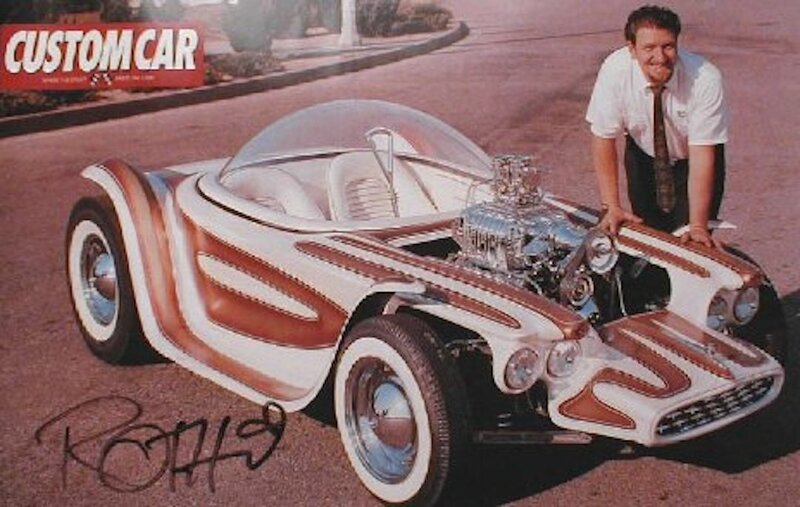 The Beatnik Bandit was based on a show car of the same name created in 1963 by Ed "Big Daddy" Roth. Big Daddy and the Beatnik Bandit! Oldsmobile engine. Roth even designed an ingenious control stick that operated the steering, braking, acceleration and transmission of the car. part of the base on the US version the blue dome of the Hong Kong casting is also quite evident. 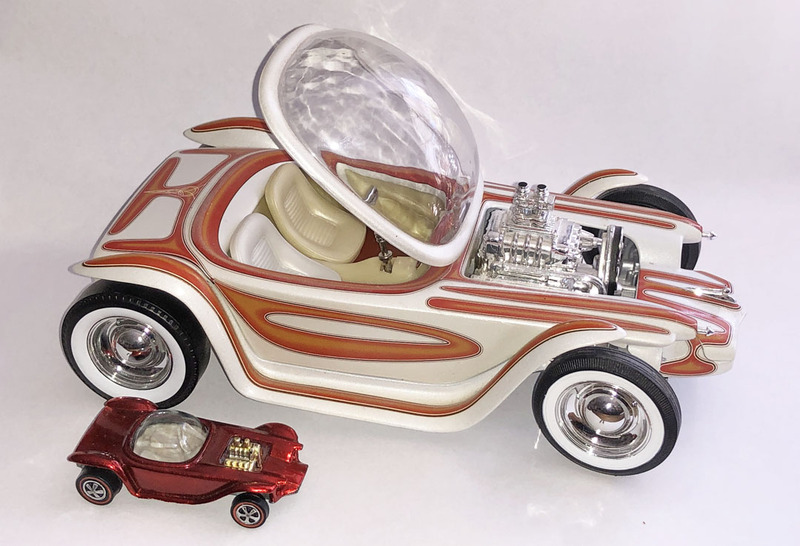 The noteworthy differences include the area around tailpipes and the ends of the fenders. Here, the two castings are quite similar. A slight difference in the rear fenders can be seen. of mechanical detail on the US version and the difference in the front associated with the grille. The engines are also different, the HK version featuring a blower and the US open carburetors. The US version features a more accurate representation of the "control stick" whereas the HK version has a conventional steering wheel. The HK interior also has additional details on the transmission hump and the blue tinted dome. 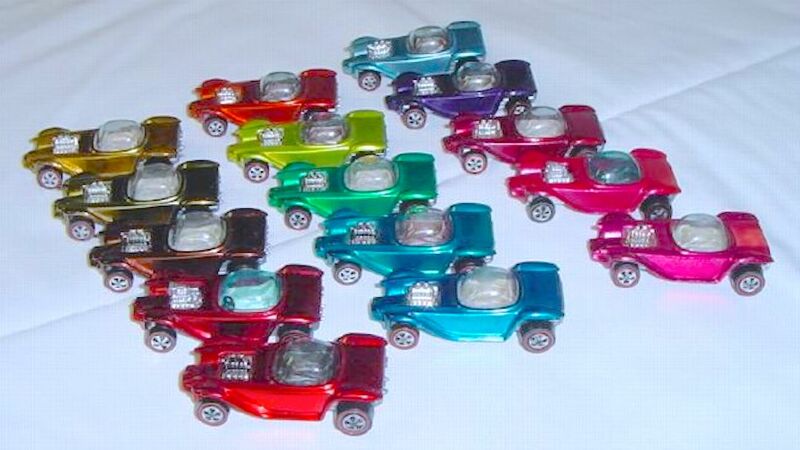 US Bandits were produced in a large number of colors, including second generation colors yellow, magenta and hot pink. The color selection for HK Bandits was much more limited. Hot pink Bandits are extremely rare! 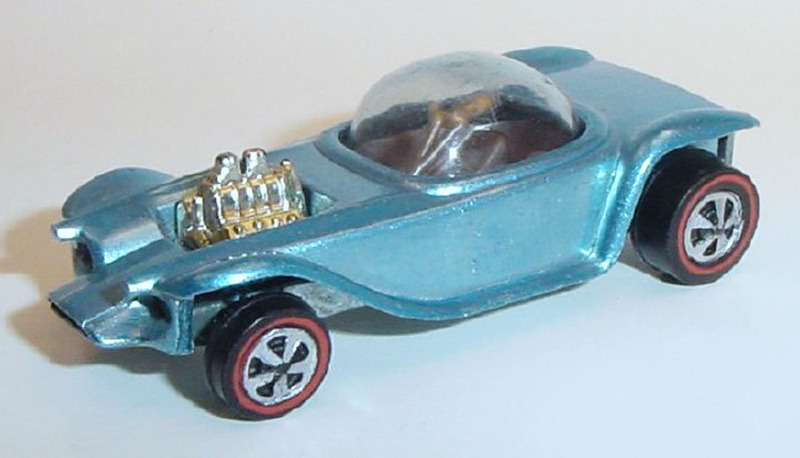 In 2002, Hot Wheels produced as 1/18th scale version of the Beatnik Bandit with extraordinarily accurate details of the original.